Since 1890, Williams-Thomas Funeral Homes has helped Gainesville families honor their loved ones with memorable funerals and memorial services. Now with three beautiful locations throughout the Alachua County area, we continue to honor that longstanding tradition today. Whether your family wants burial or cremation, we have the solution. 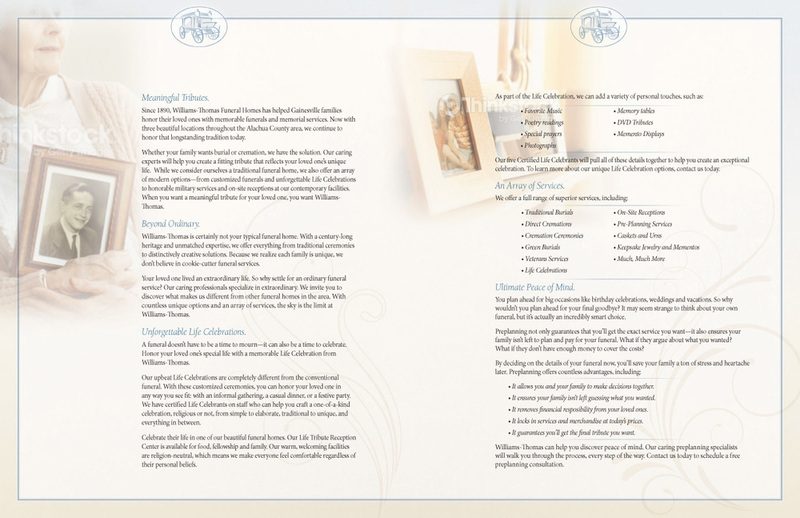 Our caring experts will help you create a fitting tribute that reflects your loved one’s unique life. While we consider ourselves a traditional funeral home, we also offer an array of modern options—from customized funerals and unforgettable Life Celebrations to honorable military services and on-site receptions at our contemporary facilities. When you want a meaningful tribute for your loved one, you want Williams-Thomas. 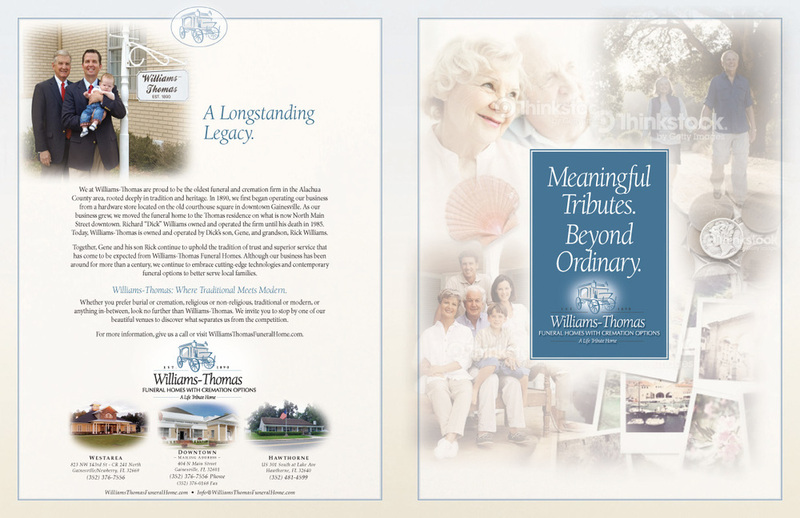 Williams-Thomas is certainly not your typical funeral home. With a century-long heritage and unmatched expertise, we offer everything from traditional ceremonies to distinctively creative solutions. Because we realize each family is unique, we don’t believe in cookie-cutter funeral services. Your loved one lived an extraordinary life. So why settle for an ordinary funeral service? Our caring professionals specialize in extraordinary. We invite you to discover what makes us different from other funeral homes in the area. With countless unique options and an array of services, the sky is the limit at Williams-Thomas.